At Aradhana, we believe in shaping the personality of our students by giving them an opportunity to introduce them to various cultural and sports activities so that it kindles an interest in them and also help them to decide in which field they would like to develop, either professionally or even as a vocation or hobby. We have trained professionals who train students in keyboard and guitar. Good singers are part of the choir group of the school. 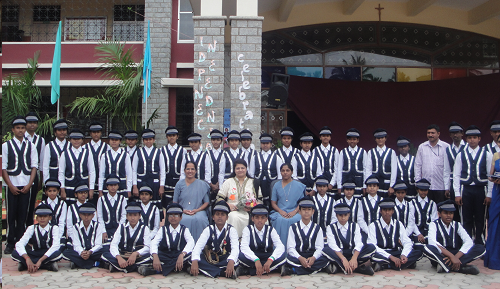 The school choir which performs during almost all important occasions and have won the heart of the audiences alongwith instrumental accompaniments. 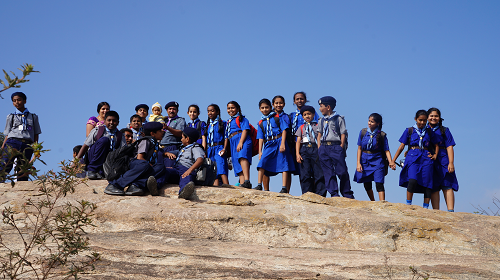 To help students to develop discipline, comradeship and a sense of adventure, we have recently introduced a Scouts Training Programme in our school. Students are selected based on their skills for the school Band Group. They are trained by a professional. We are proud of the many accolades and recognitions that have been awarded to our School Band group on public platforms. In addition to the above students are encouraged in outdoor games like Basketball, Volleyball, Throw Ball, Cricket, etc and also indoor games like Chess, Carrom, Table Tennis, etc.